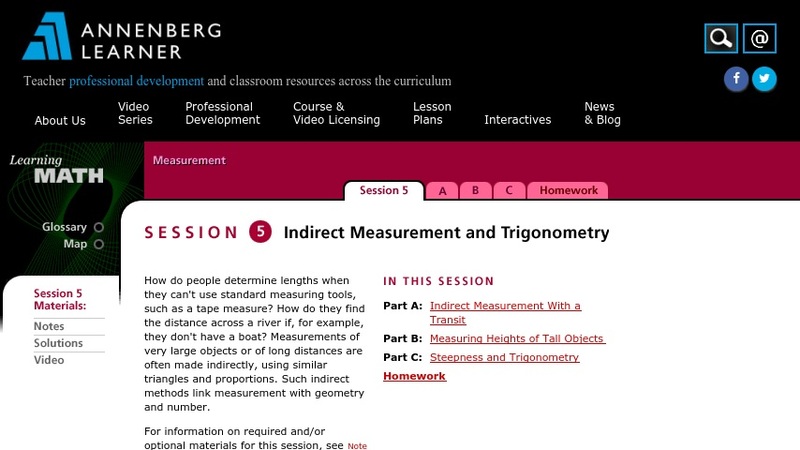 This online workshop session offers practical experience in the use of trigonometry. Teachers work together on examples of measuring impossible distances and inaccessible heights as they explore a number of methods for indirect measuring. They learn about right triangle trigonometry and use trig ratios to solve problems. This is one session from Measurement, a free online course developed for elementary and middle school teachers.